An orthopedic surgeon is a physician who received specialty training in the area of the musculoskeletal system, which includes bones, joints, muscles, ligaments, tendons, and cartilage. Orthopedic surgeons treat both operative and non-operative conditions. Our surgeons have advanced training in hip, knee, and shoulder replacement, as well as arthroscopy and sports medicine. Contact our office, and press option 2 for the front desk, 8:00am-5:00pm, Monday through Friday. Call our friendly staff at (541) 472-0603 and press option 2 for the front desk, 8:00am-5:00pm, Monday through Friday. Please provide 24 hours notice for appointment cancellations. If I need a copy of my previous test results, what should I do? Contact our office, and select option 6 for medical records. They will help you obtain these. What is cartilage, a tendon, or a ligament? Cartilage is the cushion between bones that helps the joints move. Degeneration or loss of cartilage becomes arthritis. Tendons are the tissues that connect muscle to bone. Ligaments connect bone to bone and provide joint stability. Ice is used immediately after an injury (24-48 hours) to decrease the swelling and pain. Cold therapy decreases blood flow to the injured site, whereas heat increases blood flow and is effective when there is no swelling. Heat therapy is generally good for chronically painful areas, such as for arthritis. Do you accept my insurance? Who do I call for billing-related questions? Please contact our office, and select option #3. We accept most insurance companies. If we are not a participating provider with your insurance company, you may have a higher out of pocket expense. Call us and we can help you. Can I refer myself for an appointment? Our physicians accept patients who refer themselves. Please contact our office to make your appointment. Some insurance companies require a written referral from your primary care physician, so if you have any questions, please contact your insurance company. Physical therapy is a mode of treatment designed to restore muscular movement and strength, using exercises and functional training. Their goal is to return you to your daily activities, occupation, or sport. Please plan ahead for prescription refills during office hours. Medications can not be prescribed or refilled after business hours or on weekends. This is for your safety and well-being. If the need is urgent, you must go to the Emergency Room. Refills will not be authorized unless you have been seen in the clinic within the past month. My cast has swelling around it. Is this normal? Slight swelling around the cast is normal. Remember to keep the cast elevated above your heart. A simple test is if you can place two fingers between the skin and your cast. Please refer to our Cast Care Instructions. If you have a problem, call our office at (541) 472-0603. I hear some people have problems having bowel movements after surgery. What can I do for this? Please refer to the How To Avoid Constipation While Taking Narcotic Pain Medication section. Narcotics taken after some surgeries can cause problems with normal intestinal functioning. Make sure to drink plenty of fluids after surgery and eat foods high in fiber, such as fresh fruits and vegetables. If the problem persists, please call our office at (541) 472-0603. How can I reach my physician if I have more questions or problems? Please call our office during business hours at (541) 472-0603. 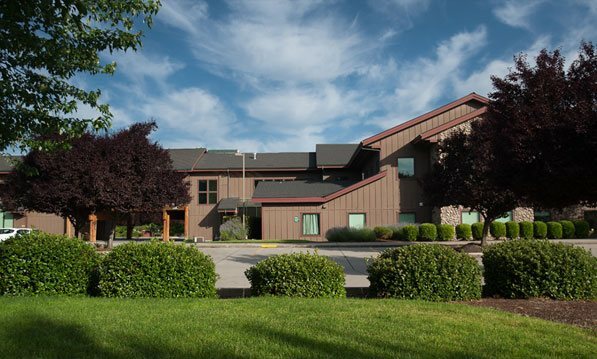 You and your physician will make the decision about whether the Grants Pass Surgery Center or Three Rivers Community Hospital is best for you and your particular situation. A small camera and instruments are inserted through one or more small incisions, or "poke holes". This allows the joint to be viewed and repaired with minimal trauma and less pain. Arthroscopic surgery allows the surgeon to determine the extent of the injury and make the necessary repairs within the joint. Joint replacement surgery is performed to replace a damaged or arthritic joint with a new joint. This type of surgery is meant for patients who have advanced pain in their joint despite medication or other treatment options, and the pain has significantly altered their activities of daily living. Knees, hips, and shoulders are the most commonly replaced joints. Artificial joints last an average of 10 to 20 years. If you have your joint replaced in your 40s or 50s, you would likely need a revision of your joint replacement at some point during your lifetime. There are three procedures that might need to be done during rotator cuff surgery: debridement, subacromial decompression, and/or rotator cuff repair. Debridement is how damaged tissue is removed from the shoulder joint. Subacromial decompression involves shaving the bone or removing spurs under the shoulder blade. This is done to create more room for the rotator cuff tendon to move smoothly. A rotator cuff repair involves placing anchors into the bone to reattach the tendon to its normal attachment site. Dr Bents performs the entire operation through 3 or 4 small arthroscopy holes. See video section for details. X-rays provide a 2 dimensional picture of your bones on the computer using a type of radiation. X-rays are typically used to assess and diagnose bone disease, degeneration, fractures, dislocations, infections, or arthritis. MRI uses magnetic waves to view 3D cross sections of tissues. There is no radiation with MRIs and they are used most frequently to diagnose cartilage or tendon disorders. Computerized tomography (CT) scans are sometimes called CAT scans. They take a 360-degree picture using a strong x-ray. The advantage to using a CT scan is that bones are shown much better and clearer than plain x-ray, which may allow for a more accurate diagnosis.